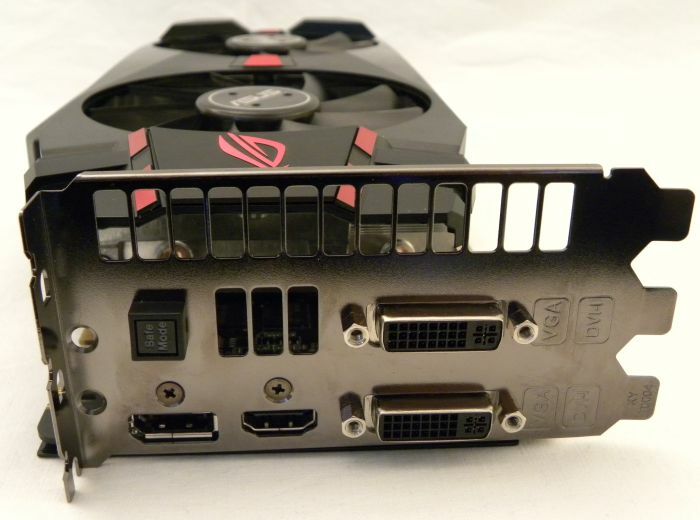 Yep my friends, the photo gallery has two parts because there are many details on the MATRIX GTX 580. 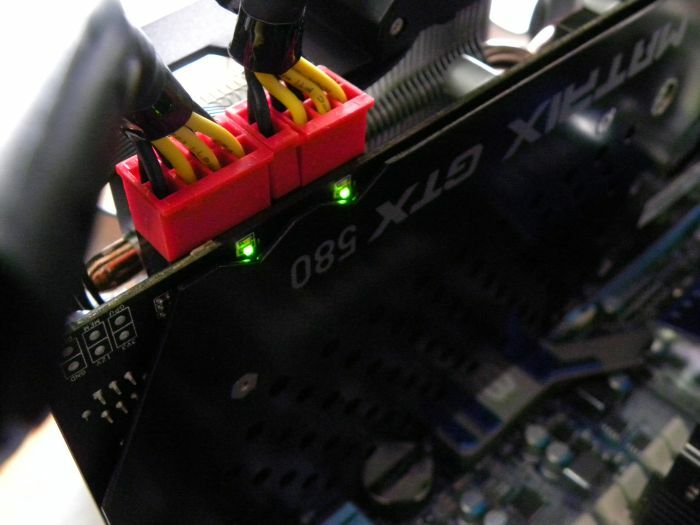 As explained in this article, two 8-pin connectors mean the maximum power draw of the board is 375W. And I can tell you that the power draw of the ROG MATRIX is very close to this maximal limit when the card is overclocked and highly stressed by FurMark. 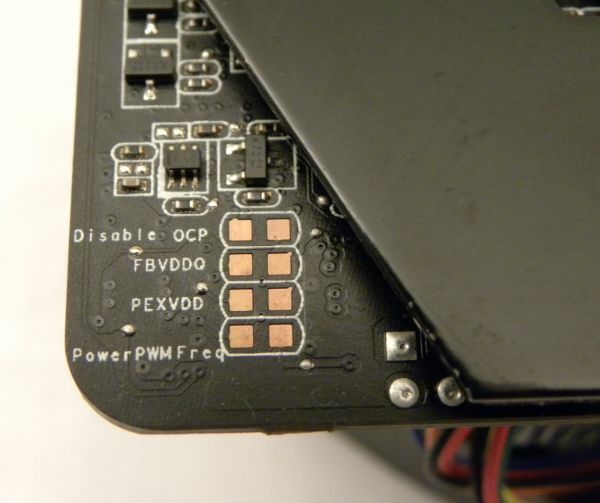 And nice thing, ASUS has fixed the problem of the GTX 570 DC2: now both power LEDs are visible! This feature is called ProbeIt by ASUS. You can monitor hardware voltage in real time. 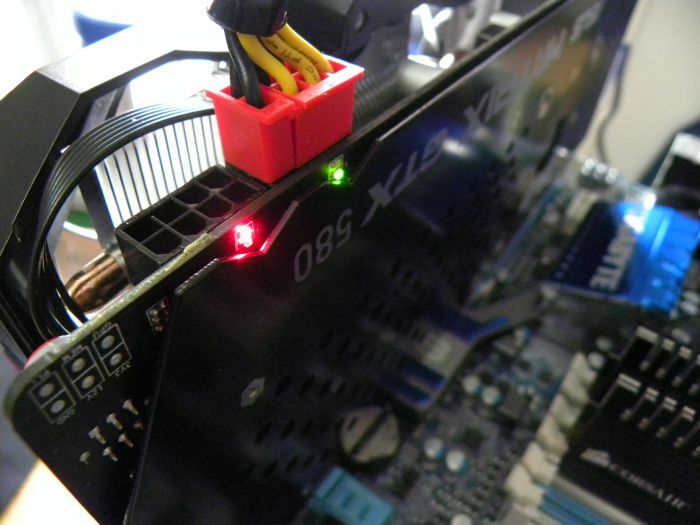 To measure the GPU voltage with a multimeter for example, just connect the positive probe on the GPU point and the negative probe on the ground. The big red button is the 100% fan speed. When pressed the fan speed is set to 100%. Once pressed again, the fan speed returns to auto. 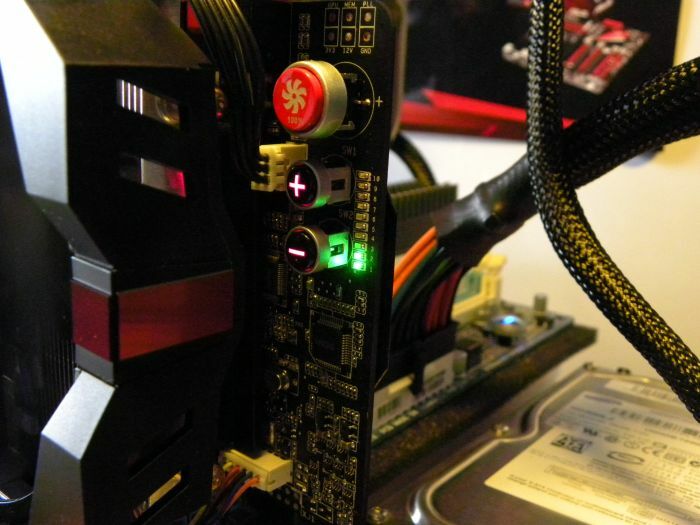 This is 100% hardware and totally bypass the software fan speed setting. Right near the red button, you have two PLUS and MINUS buttons. 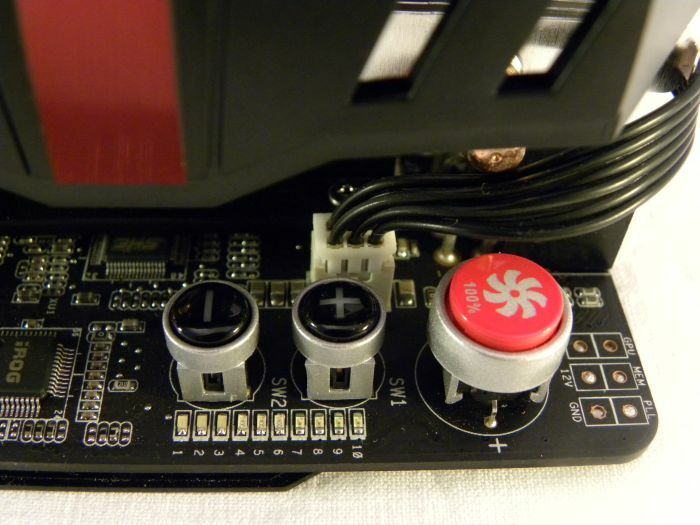 These buttons are used to change the GPU voltage (or core voltage, or Vcore, or VDDC). Thanks to the GPU voltage check points (ProbeIt), I measured that each pressure on the PLUS button adds around 0.013V to the GPU voltage. 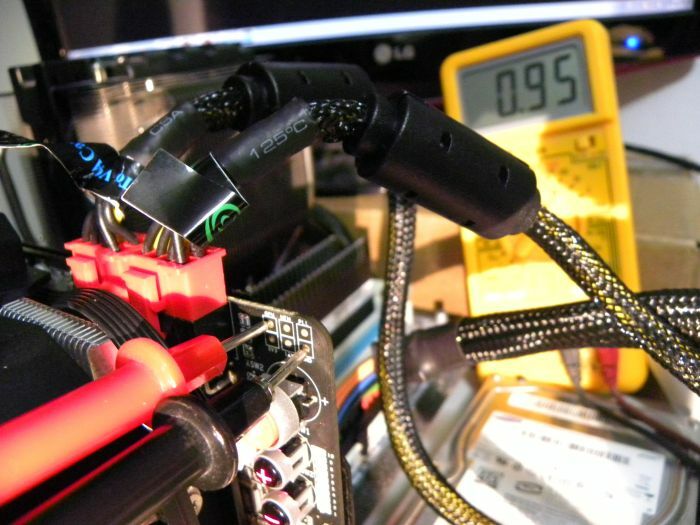 Then with 10 steps, you can add up to 0.13V to the GPU voltage. 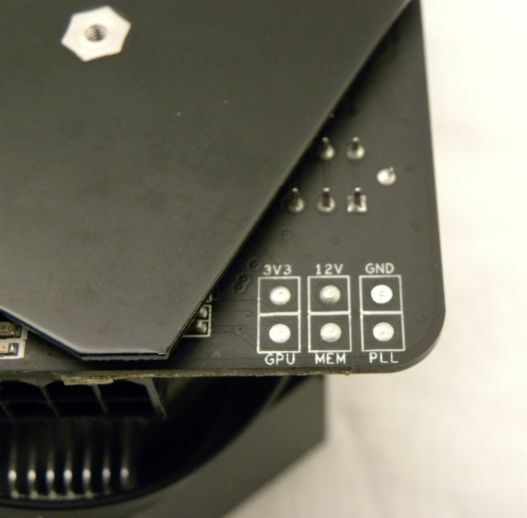 ProbeIt check points are very important because there is a difference between what you measure with the multimeter and is displayed by the GPU monitoring utilities. For example, with the multimeter I read 0.960V for VDDC and GPU Tweak gives me 0.955V. 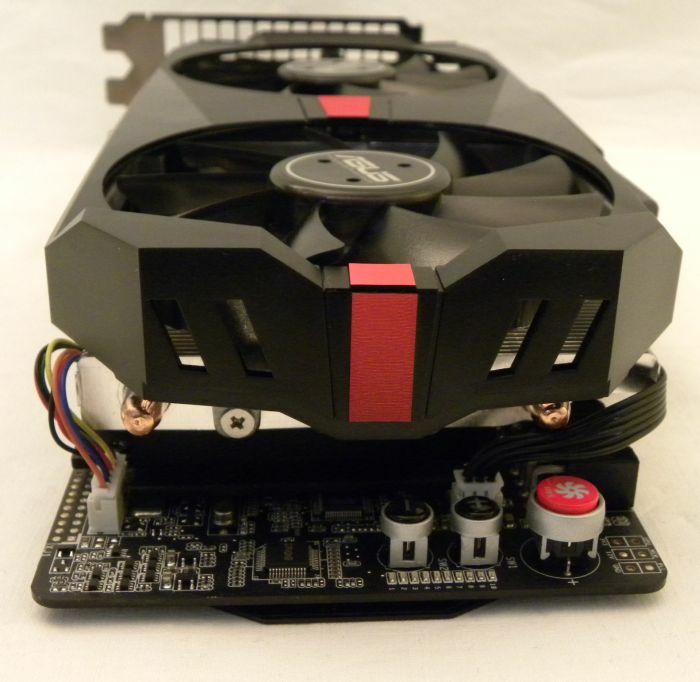 The three button (fan speed and GPU voltage) are called TweakIt by ASUS. 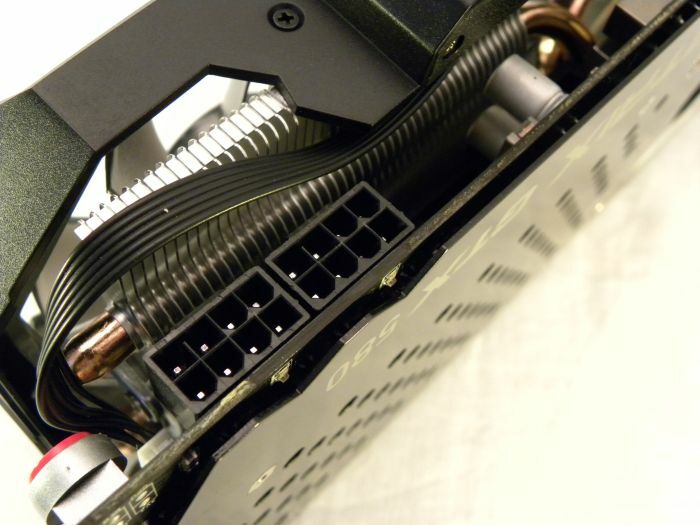 The MATRIX GTX 580 has two DVI connectors, one HDMI port and one DisplayPort output. The Safe Mode button allows to reset the BIOS to the default settings in case of problems during a BIOS flash or if your OC settings are a bit too high. Worry-free OC!